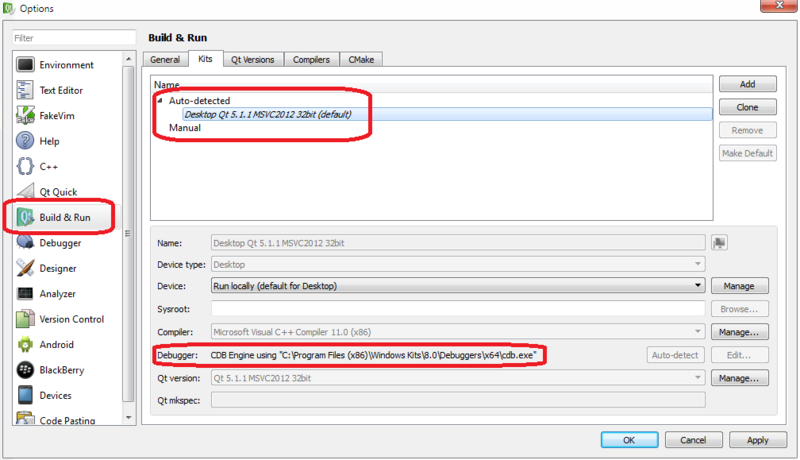 This tutorial provides a way to install a development environment to work with Qt, boost (optional) and QxOrm library on Windows, each library built on 32 bits mode (all steps are similar for 64 bits mode). 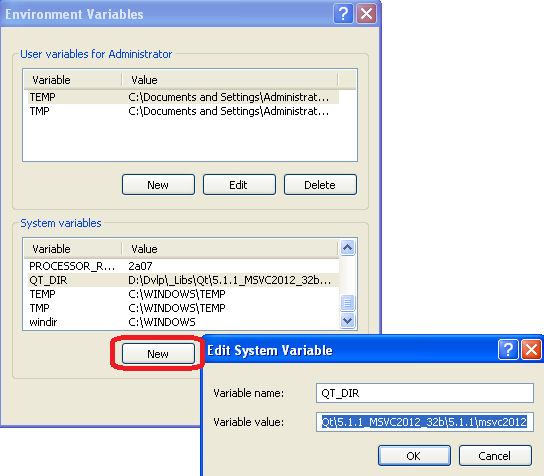 At the end of this tutorial, you will be able to choose between Microsoft Visual C++ 2012 and QtCreator EDI. Prerequisites : Microsoft Visual C++ 2012 is already installed on your computer (no matter the version : « Express », « Professional », etc.). Note : each version of QxOrm library is tested on Windows with MSVC++ (32 bits and 64 bits) and MinGW GCC 4.5. 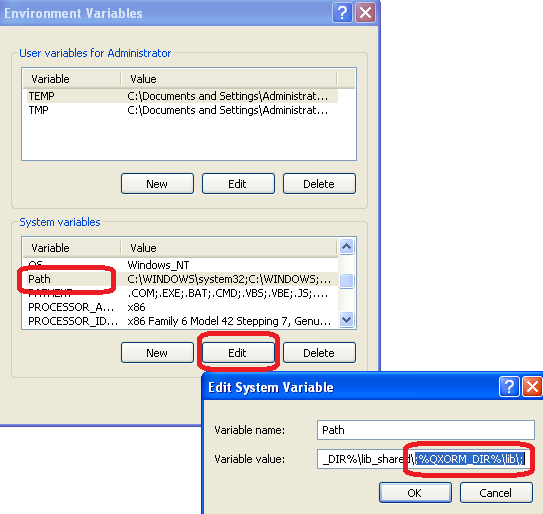 This tutorial is written for MSVC++ 2012, but the installation process will be similar for other compilers. Other note : although this tutorial is for Windows developers, each version of QxOrm library is tested and validated on Linux (with GCC) and Mac OS X (with Clang). Then, execute the Qt setup to install Qt framework on your computer. 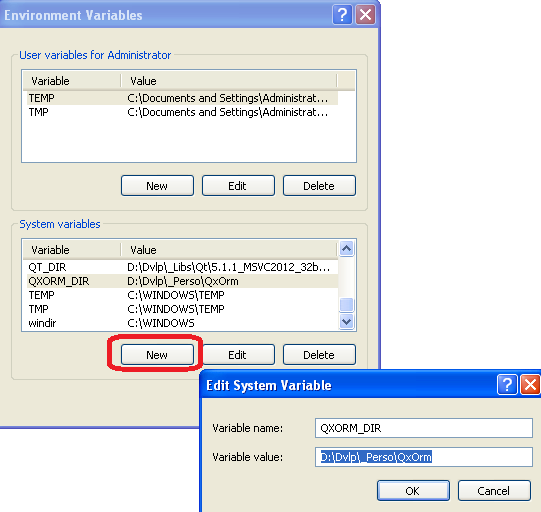 Once Qt is installed, it's recommended to add the Qt « bin » directory into the Windows « PATH » (environment variables). 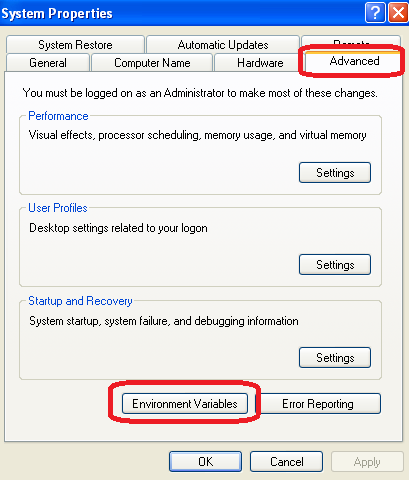 For Qt5 : the installation process is different with Qt5, in our case we have to go to this sub-level : « .\5.1.1\msvc2012\ ». 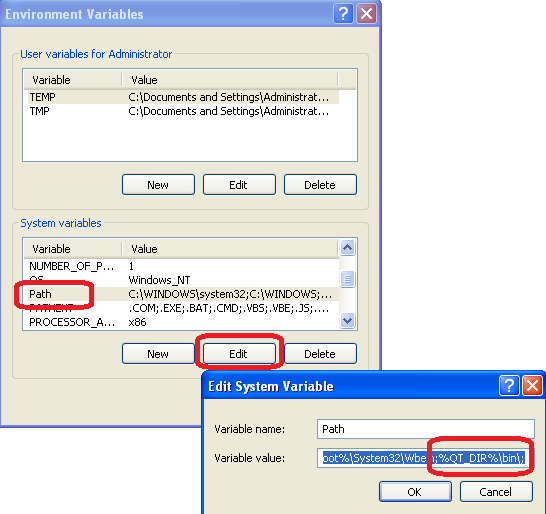 Note : Why did we add the Qt « bin » directory to the Windows « PATH » ? All executables for Qt process (qmake, moc, ui, rcc, etc.) are available everywhere on the system without having to configure other things. Moreover, it will be easier to switch to another Qt version : just modify the « QT_DIR » value to put another Qt directory. Note : by default, QxOrm library depends only on Qt (QtCore and QtSql). 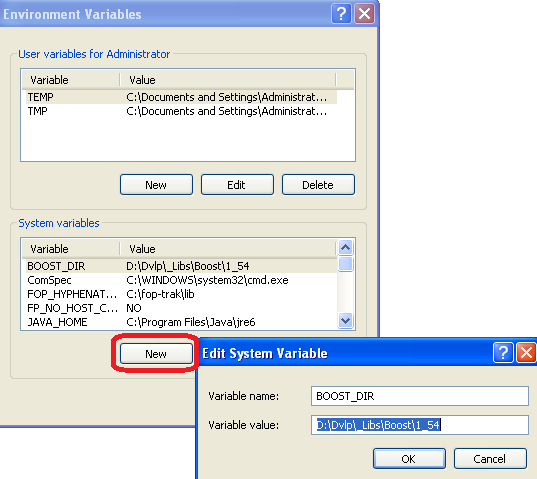 boost installation is optional and not required with default configuration : so if you don't need boost framework, then you can go directly to next step. 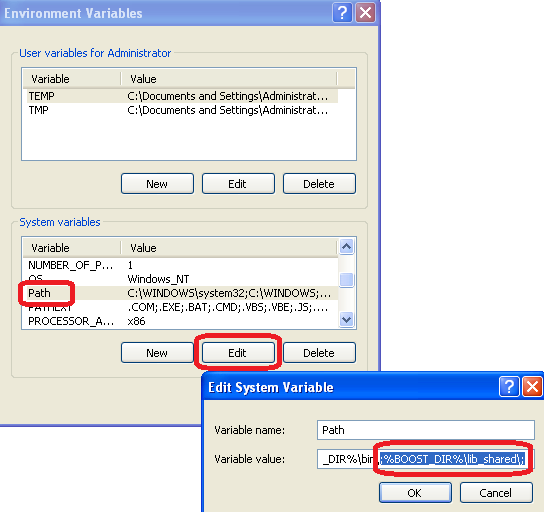 dependency on boost serialization module : _QX_ENABLE_BOOST_SERIALIZATION compilation option. The fastest and easier way is to download the boost package provided by QxOrm website. MinGW GCC 4.5 (files with a name with mgw45). Inside the boost package root directory, « version_1_57.txt » file provides all commands executed to build « boost::serialization » module (which is optional and not required by default). Note : this step is optional and not required by default : if you don't want to work with boost serialization features, then you can go directly to next step. Variable value : where boost package has been unzipped. Note : you can also add the « lib_shared_64b » directory to the Windows PATH if you want to work in 64 bits mode : « ;%BOOST_DIR%\lib_shared_64b\; ». Once downloaded, you just have to unzip it where you want. Note : if you don't need boost framework, then « QxOrm.pri » configuration file doesn't need to be changed (you can keep the default configuration). Otherwise, if boost is required by your project, then it is necessary to indicate to QxOrm library how to access to boost configuring « QxOrm.pri » file (be careful, only « QxOrm.pri » file can be changed, all other files from QxOrm package should not be changed). « QX_BOOST_LIB_WIDE_SERIALIZATION_RELEASE » (optional, only used if _QX_ENABLE_BOOST_SERIALIZATION is defined). Like « QT_DIR » and « BOOST_DIR » variables, we will add another environment variables named « QXORM_DIR ». Variable value : where QxOrm package has been unzipped. To quickly test the installation, it is possible to open the project « qxBlog » of QxOrm package : open the file « ./test/qxBlog/qxBlog.sln » with MSVC++ 2012, then compile and execute the project. If you don't have any error or assert, then your development environment is ready : Qt, boost and QxOrm library are properly installed on your computer ! It is also recommended to test all samples projects of QxOrm package, each project have a « *.sln » file and can be opened with MSVC++ : all samples projects must run without any error. Note : Qt provides an Add-in for Microsoft Visual C++, so you can install it to improve Qt integration (manage automatically *.pro files for instance). If you work with QtCreator (and not MSVC++) : run QtCreator from your Qt installation directory « .\Tools\QtCreator\bin\qtcreator.exe ». 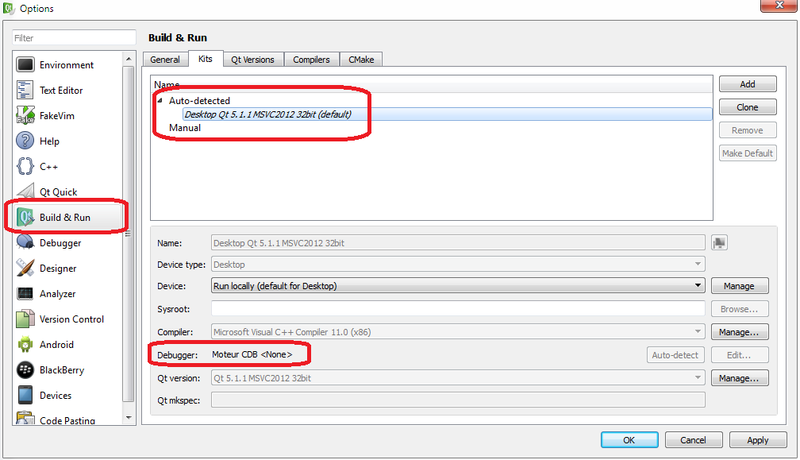 Now, you can develop with QtCreator and/or MSVC++ 2012 !